With over a decade of scientific evidence reporting uncompromising reliability, narrow diameter implants signify a major shift in treating a greater range of patients. They are particularly appealing to those patients who previously declined implant treatment due to constraints of anatomy, fear or cost. Dentists everywhere are pausing to take note. Narrow diameter implants show high survival rates and are used clinically for immediate loading of fixed prostheses as their implant design provides high primary stability. Histological evaluation demonstrates a high bone-to-implant-contact-percentage (BIC%), similar to the BIC of conventional diameter implants. These unique implants help to avoid grafting techniques and improve esthetics with documented long-term success. The system reviewed in this course offers a full range of screw retained prosthetic options for overdentures, to single tooth, to full mouth reconstruction. The hands-on portion will be carried out on models enabling the clinician to insert and fabricate a screw retained prosthesis on narrow diameter implants. Recognize the indications of use for narrow diameter implants (any implant less than 3mm in diameter). Understand and practice both the surgical and prosthetic protocol for narrow diameter implants. Realize the cost savings associated with narrow diameter implants and how these savings benefit your practice. 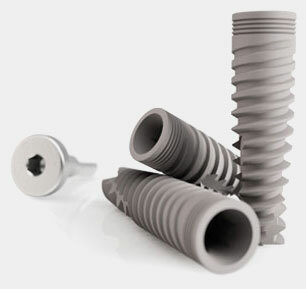 Insert and fabricate a screw retained prosthesis on a narrow diameter implant through a step by step protocol. Discover proven marketing and treatment planning strategies used by the top producing dental implant and full arch practices in the nation. In this workshop, you will learn predictable business systems to attract &amp; close big implant cases in volume and at a high conversion rate. Explore cutting edge marketing strategies, the importance of quick patient triage, how to close with creative financing, &amp; an efficient system to follow-up on unscheduled treatment. Treatment processes &amp; scripting techniques to escalate patient’s commitment for full arch treatment. Is your practice seeing stars? Word of mouth has evolved in the digital age to include what other patients are saying about you online. Is your practice consistently obtaining 5-star reviews from patients? Learn how to improve your online reputation and manage your practice’s online presence, and leverage your strengths to increase new patient numbers. Len is pleased to find opportunities to share what he’s learned with others. He has been a consultant with iSocial Dental Consulting for over 5 years and is a general manager at BirdEye. Len discovered the power of internet marketing and the impact it had on his profession. 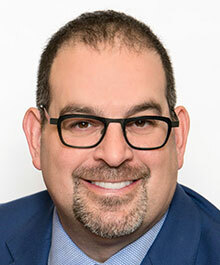 He’s been able to share his wealth of experience nationwide, and it’s his goal to help other dental professionals learn about all the tools and strategies available to help their practice grow. 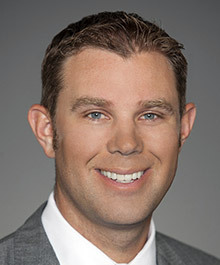 He was recently chosen as one of the top leaders in Dental consulting by Dentistry Today. A hands-on workshop with clinical and histologic validation of PRF, including live blood draw with course participants. This inter-active lecture/hands-on workshop will present the background, science, applications, and methodologies of PRF (Platelet-Rich Fibrin) for your everyday practice. Clinical cases will further demonstrate and illustrate the techniques and examine the final results that can be derived from its use. The didactic section will enable you to evaluate the differences in current platelet protocols, while the hands-on portion of the workshop will allow you to become familiar with its procedures during a live volunteer demonstration. This will include blood draw, fabricating and manipulating the PRF membrane and matrix plugs. Ms Henderson: Upscale Hygiene. Upscale Profits. Utilizing your Hygiene Department to Drive Practice Production. Upscale Hygiene. Upscale Profits. Utilizing your Hygiene Department to Drive Practice Production. Utilizing known statistical data, this course ties together the metrics necessary to measure the effective productivity of the dental hygiene department. Attendees will leave with an understanding of which numbers matter, which ones to watch and why. Doctors, tired of pushing a financial boulder up hill? Frustrated by cancellations and the last-minute scramble to fill the schedule? This presentation will offer solutions. It will clearly define what it means to provide comprehensive care and create tremendous value for the services provided, which in turn, facilitate unprecedented treatment acceptance. This presentation offers processes and perspective into the dental hygiene model that is raising the level of care delivered around the globe. Attendees will learn how to keep their hygiene schedule filled and be given an efficient process for cancellation mitigation/elimination along with simple strategies the team can utilize to increase productivity and case acceptance. Soft tissue grafts failure may not necessarily be related to operator or the use of different techniques. We will review other cause of graft failures like sleep related Bruxism which is also related to development of TMD and oral facial pain. What causes the initiation of the graft failures. How to Identify the markers for the graft failures. 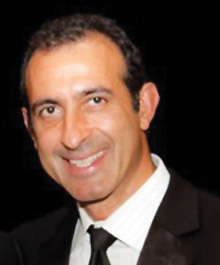 Dr. Ariz is a 1989 graduate of the Boston University School of Dentistry where he received his DMD degree. In 1991, he received his Certification in Advanced Graduate Studies (CAGS) in Periodontics. He is an Assistant Professor to Advanced Periodontics over for 25 years at Ostrow School of Dentistry of University of Southern California. Dr. Ariz is a Diplomate, American Board of Craniofacial Pain (ABCP) and he has extensive training in orthopedic Craniofacial dysfunction. He has treated patients with Craniofacial pain, TMJ soreness and jaw discomfort, primary headaches, face, neck and shoulder pain. He is also Diplomate, American Board of Craniofacial Dental Sleep Medicine (ABCDSM) were he is treated patients for Obstructed Sleep Apnea and snoring, daytime drowsiness and patients who are CPAP intolerance. Beside lecturing and presenting in academia and educational meetings, Dr. Ariz is involved in TMJ & Sleep Therapy Research for non- surgical therapy to improved quality of life. He is the program leader in fundamentals courses in American Academy of Craniofacial Pain. His expertise includes implantology, esthetic implant surgery, esthetic periodontal therapy, and full mouth reconstruction. 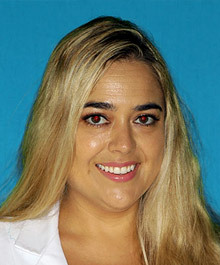 Dr. Ariz is a member of the American Academy of periodontology, Western Soc. of Periodontology, American Academy of Craniofacial Pain, American Academy of Dental Sleep Medicine, American Academy of Sleep Medicine, American Academy of Osseointegration and a member of the Medical Review Institute of America, Inc and Los Angeles County Medical Association. © 2018-2019 Global Implantology Summit. All rights reserved.